LakewoodAlive will undertake a volunteer project to rake leaves for 10 households on Giving Tuesday, November 27. Giving Tuesday represents a global giving movement. 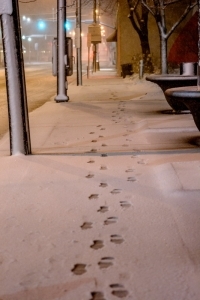 It’s a day during which people can help others through the gifts of time, talent and resources. In that spirit, LakewoodAlive will be giving back to our community on Giving Tuesday 2018 by undertaking a volunteer project to rake leaves for 10 households in need within our city’s neighborhoods. LakewoodAlive’s Housing Outreach Program will complete its 42nd volunteer housing project of 2018 on Tuesday, November 27, from 10 a.m. to 12 p.m. by assisting five households on Olive Avenue in the southwestern quadrant of Lakewood and five households on Newman Avenue in Lakewood’s Historic Birdtown Neighorhood. 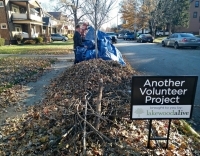 A volunteer crew comprised of LakewoodAlive staff and board members will aid these residents – many of whom are seniors or folks who suffer from mobility issues – by providing leaf-raking and yard cleanup assistance. LakewoodAlive, in conjunction with this volunteer housing project, will orchestrate a one-day fundraising campaign via Facebook to raise donations on Giving Tuesday in support of our ongoing mission to foster and sustain vibrant neighborhoods in Lakewood. Donations made through LakewoodAlive’s Facebook campaign will not incur any processing fee from Facebook. 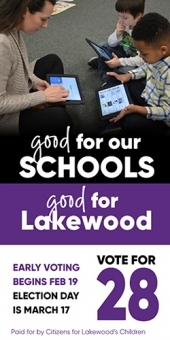 Visit LakewoodAlive's Facebook page in the coming days to learn more about our Giving Tuesday efforts. Thank you in advance for your support.